Dr. Velin has been involved in Neuropsychological services in Montana since 1993, with Dr. Pearce having joined him to add specialties in head injury since 2014. The clinic has provided evaluations for thousands of patients and is into its second generation of Montanans. We provide comprehensive Neuropsych evaluations and consultations, spanning from children through older adults. We also provide Neurofeedback (NFB) treatment for select disorders and work closely with referring providers and other specialitsts/organizations to provide seamless integration of care. Dr. Velin is a licensed Psychologist/Neuropsychologist and Managing Partner of Montana Neuropsychological Associates. He received his Ph.D. in 1989 from the University of Montana, prior to completing a two-year Post-Doctoral Fellowship in Neuropsychology at the University of California, San Diego (UCSD), funded by a NIH National Research Service Award. He then joined UCSD as a Research Faculty member before returning to his home state of Montana. Dr. Velin has 28 years of clinical experience assessing and managing neurocognitive issues associated with a broad range of clinical conditions. He has published and presented on, and treated numerous conditions including Head Injury, Alzheimer’s Disease, Multiple Sclerosis, ADHD, Autism and many others. He has particular expertise and interest in the management of Central Nervous System disorders via non-pharmaceutical approaches, such as Neurofeedback (EEG Biofeedback), as well as integrating comprehensive behavioral-biological-environmental treatment programs. He holds two Board Certifications and remains active in both clinical practice and research. He previously served on the Advisory Board for the Montana Neurosciences Institute and has served as a journal reviewer for five, peer reviewed, professional publications. When not working, he enjoys fly-fishing, flying, running and road cycling. He is married and has three grown children. 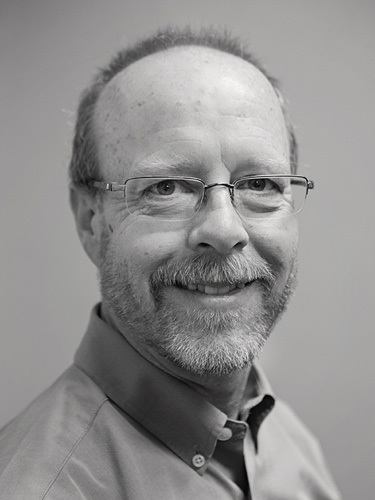 Dr. Pearce is a licensed Psychologist/Clinical Neuropsychologist with Montana Neuropsychological Associates. She received her PhD in Clinical Psychology in 2013 from Idaho State University, and completed her two-year Postdoctoral Fellowship in Neuropsychology at the University of Pittsburgh (UPMC) Sports Medicine Concussion Program in 2015. She returned to Montana in 2015, initially joining forces with Dr. Velin at Community Medical Center, prior to transitioning with Dr. Velin into private practice with Montana Neuropsychological Associates in 2016. Dr. Pearce has experience evaluating a range of clinical presentations and conditions affecting the central nervous system, including Sport Concussion, Traumatic Brain Injuries, ADHD, Learning Disorders, Dementia, Autism, and many others. Dr. Pearce has a background and interest in translational research efforts, borrowing from basic cognitive neuroscience to expand treatment efforts within clinical populations. In addition to prior teaching and journal review/publication experience, Dr. Pearce also enjoys community outreach, and has provided a number of presentations to local communities. When not working, she enjoys trail running, playing soccer, horseback riding, and spending time with friends, family, and her two dogs.